It almost seems like a cliche to write about a shower in April, but I had to share a few details from a recent celebration that was a long time coming. 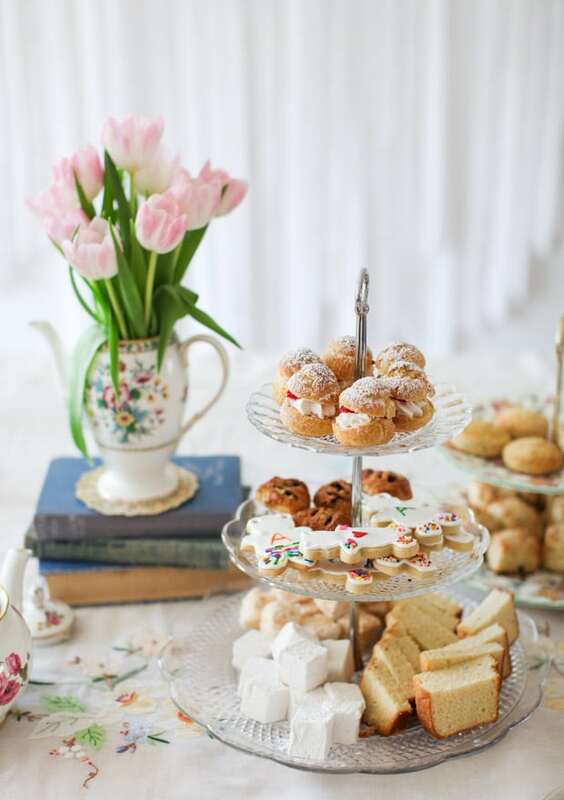 This afternoon tea is also another chapter in my sister’s story, and since you’ve already joined us virtually for the winter engagement, the West Coast wedding, and the backyard reception here on the homestead, it’s only fitting we tie things up with a baby shower. Now this joyous event had originally been planned to take place back in November, when my sister, Miranda, was six months pregnant, a comfortable stage of the pregnancy to travel from her Halifax home. The invites had been sent, Miranda had purchased a plane ticket – and then my nephew was born early. Almost 2 months early. Since he weighted a mere 3lbs, 4 oz and was making his home in the NICU, all baby shower plans were postponed – until now. Of course every baby shower and every new life is incredibly special, but we had extra reason to celebrate Alfred (Alfie) James considering his adventurous start. Some time after serving that famous outdoor buffet in a canoe, I decided the baby shower must be considerably more civilized. A while back Miranda and I had spent some time in London together, including a most memorable Wolseley afternoon tea, and the charms of that occasion inspired this present day event. We’re also half British (my dad is from Lancashire), so spending the afternoon chatting over Eccles cakes and scones feels perfectly natural to us. 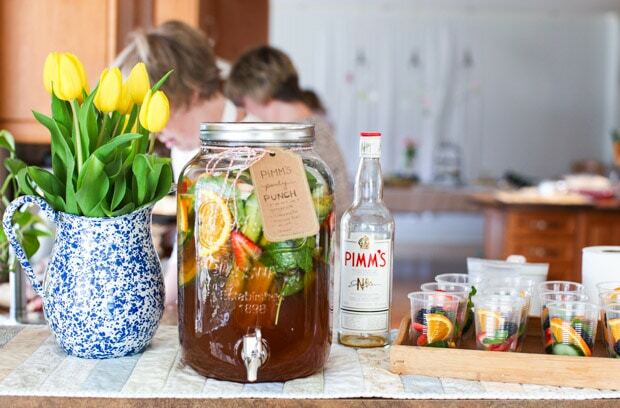 We started with Pimm’s Cups, because it is the spring cocktail in the UK, and very complementary to finger sandwiches. I served it up in punch form for practical reasons (no need to stand by and play bartender). I played around with my recipe a bit, but based it off of this version from Serious Eats. If it’s good enough for J. Kenji, it’s good enough for me! 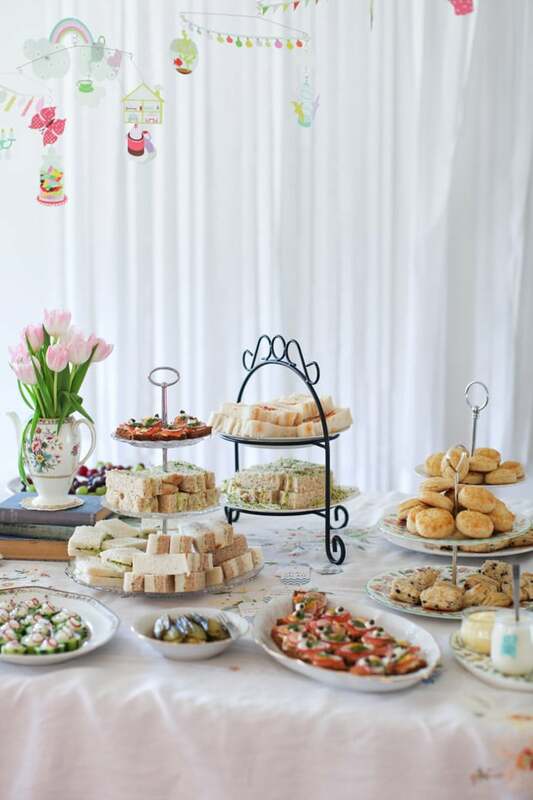 While guests arrived, found a glass of punch and made little Alfie’s introduction, my two shower co-hosts (Alfie’s grandmothers) and I piled hot scones and sandwiches onto tiered trays. I am currently enamoured with finger sandwiches, cut into lengths rather than triangles, and with the crusts removed, of course. They are ever so dainty and a perfect three-bite accompaniment to a cup of tea or a glass of Pimm’s punch. Chicken salad, which my mother-in-law cleverly assembled with one side of each white and wheat bread. Cucumber & cream cheese – a classic! Smoked salmon & radish on rye – which I served open face, with a sprig of dill and a smear of creme fraiche. 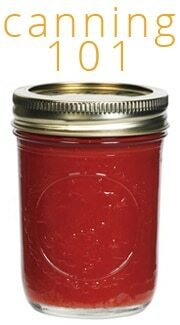 Cream cheese & red pepper jelly – tangy cheese and hot/sweet jelly make for an unexpected and delicious bite. Herbed avocado egg salad & onion sprouts – another classic, dressed up for tea. 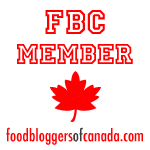 I could have added even more to this list, as my Sandwich board on Pinterest hints (avocado! radish & butter! pickled carrot & Brie!) but I restrained myself. I almost always go overboard in the food department and I wasn’t sure how enthusiastic our guests would feel about, well, plain old sandwiches. As it turns out, I shouldn’t have worried; the sandwiches disappeared in a twinkling, along with several pots of tea. Oh hey, look for my egg salad recipe to make an appearance here on the blog next week. I made it without mayonnaise, and instead I used smashed avocado for a creamy binder, which worked out really well. Update >> it’s HERE! We need to talk about scones. I may have obsessed over finding the perfect British-style recipe, testing variations from Jane Hornby, Pippa Middleton’s book, Celebrate, and many more. We ate a lot of scones, but there was no complaining from the kids! The absolute best recipe I found was from cookbook author, Claire Ptak, who owns the Violet Bakery in Hackney, East London. Her sweet cream scones graced the cover of Saveur magazine a few months ago; fortunately you can also find the recipe over at Saveur along with the story of their evolution. It’s worth noting that I was hunting for a classic scone, with no additions whatsoever. I do love my Triple Berry Scones in the summertime, Cranberry Orange Scones for the winter holiday months and Cheesy Irish Soda Scones to accompany a pot of soup any day of the week. But for afternoon tea, the scones had to be inspired by London tea rooms: the classic cream. After nibbling on all the scones and sandwiches we could, we took a bit of a break for – you guessed it! Games. And gifts, too. And Clara took the opportunity to break away from the festivities and rip around the sopping wet yard in her party dress and stocking feet. Gracious me. Apparently she can only behave like a lady for a few hours before the tomboy urges take over. When we had wrapped up an intensely competitive game of Nursery Rhymes Jeopardy, it was time for sweets. I kept most everything bite-sized, so guests could sample one of each. Eccles cakes, in tiny, two-bite servings. Buttermilk pound cake, my mother-in-law’s excellent recipe. Vanilla and toasted coconut marshmallows. Cream cheese cut-out sugar cookies, in little teddy bear shapes and dressed up with royal icing and sprinkles. Strawberry cream puffs. Janice’s recipe, with strawberry jam swirled into the cream and a strawberry slice, too. Lemon-glazed lemon madeleines. A basic version of these beauties. Chocolate truffles, because chocolate is essential. I boiled the kettle yet again and made a fresh pot of each English Breakfast and Earl Grey tea. Everyone lingered over the sweets for some time as the sun slanted through the trees and the afternoon slipped away. Guest of honour Baby Alfie seemed unruffled by the attention; a handsome little man in a room full of women. Motherhood certainly suits my sister, who is a glowing new mama. Her sweet boy is now triple his birthweight and has just started laughing out loud. Their whole little family has relocated to the Greater Montreal area, so we’re going to get to see Alfie grow up. Here’s to many more special occasions shared between our two families and our wider extended family. 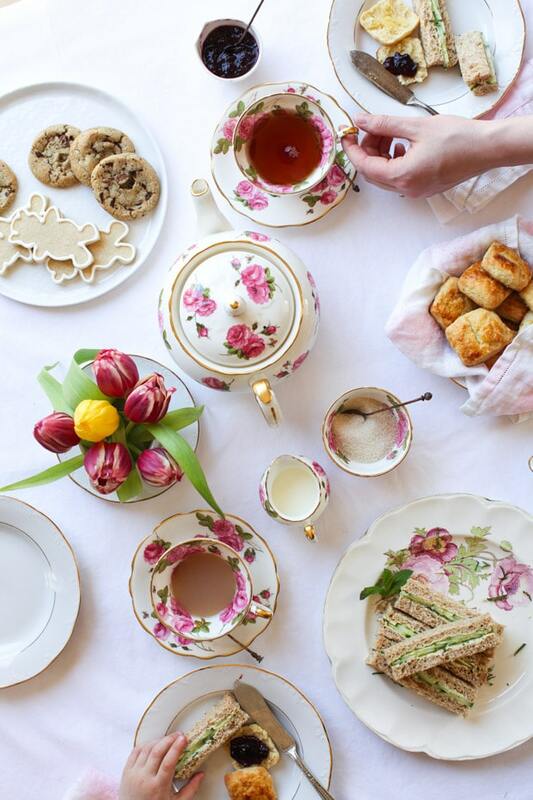 Here’s to babies, and here’s to afternoon tea! Little Alfie is so cute! He’s getting big! P.S. I really need to get that Violet Bakery cookbook. Everybody’s raving about it! Yes, at just over 9 pounds, we all think he is so big! Haha. He’s doing great. 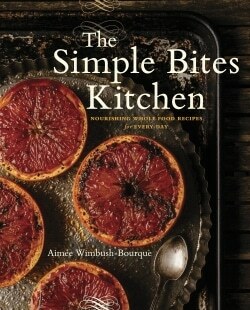 I need the Violet Bakery book too. I’ve flipped through it and it’s gorgeous. So glad you shared this with us, Aimee! Beautiful photos and I can’t wait for some new sandwich inspiration in the coming post. 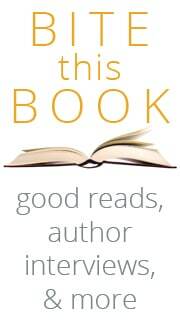 Thanks for reading, Ariel! I’m so glad you enjoyed it. Oh I love this post, Aimee!! Gorgeous afternoon tea and it’s so great you found your perfect scone recipe, I have to try it out. PS. Baby showers in Canada are always given after the baby is born in case any more people ask. 😉 Why would it be weird? That’s the time to celebrate!! I hope you try the scone recipe, Julia. And thanks for the kind words. High praise coming from a Londoner! Looks like a great shower. I think post-baby meet-and-greets are becoming more common these days – a few of my friends did that. Glad to hear Alfie’s doing great despite a rocky beginning. I love the post-baby shower too, Janet. Everyone gets to meet the baby! First of all I’d like to wish lots of health to your nephew and your sister! I can’t believe someone would comment negatively on having a baby shower after the baby is born! In my culture it’s considered bad luck to give gifts for the baby before it’s born. It’s an old superstition that my grandma feverishly abides by. My grandma didn’t buy any gifts for my niece before she was born. Some of my friends also had their baby showers after the kids were born due to that belief. An occasion to celebrate is just an occasion, it shouldn’t adhere to some rules that society decided to dictate. It’s a gathering of joy and love and good wishes. The afternoon spread that you prepared is scrumptious!! Thanks for the well wishes, Julia. And why do people comment on stuff at all? I don’t know. It’s like there are less and less filters these days. See, now I never heard of a shower done before the baby was born! That was only on TV, until I moved east from Manitoba and it is way more common to have the shower without the baby there. Back home, it is bad luck to do it before the baby is here. And it also become a welcoming party where the parents get a break from the baby, they are passed around and mom and dad get all the leftovers to take home and feed them for a long time. Congratulations to your sister and family. I may have just pinned every recipe that you shared. Can you tell that I love tea parties? It’s been far too long since I’ve attended or hosted one. Thanks for the pins, Kristen!! Sounds like you are due to throw a tea party soon. What a gorgeous shower. I was looking for photo references, thinking these shots might be in y our new cookbook, but man alive! You take such amazing food-styled photos you could do THAT for a living, too! And really, who comments on whether you have a shower after the baby is born? In my church we even have ‘showers’ for foster kid placements! 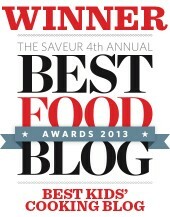 It’s just another reason to celebrate children, relationships, and eat food together. Congrats to your sister! I really appreciate that, Sarah, as I do struggle with my photography. It sure keeps me challenged, anyway! Thank you, Lyndsay! That is encouraging. hey girl love the post! Babies are a gift from God! We should celebrate before and after they are born! I like after baby baby showers best because all the guests get to see the baby. It’s like part of the thank you for bringing a gift 🙂 I think it depends on the parents and whether there are a lot of things they need before baby arrives. The tea looked lovely! I am definitely going to try the scone recipe. And finger sandwiches are my favorite. Just enough to satisfy my sandwich cravings! I think baby showers are quite common after babies are born. When we lived in Israel, our Jewish friends tended to only have showers afterwards. In Turkey, they didn’t shower at all. In many places I think it’s expected that the family do most of the showering (or they just don’t “need” as much stuff). Here in the South of the US they also do “Sip and See” where you come to visit with a new baby and often people bring gifts if they hadn’t showered the family beforehand. Blessings to cute little Alfie and your whole family! How delicious is Alfie! The tea looks tasty, too. Thankful you were all able to gather – and what a beautiful celebration for the man of the hour, the wee boy-in-a-hurry. As always, thank you for sharing. 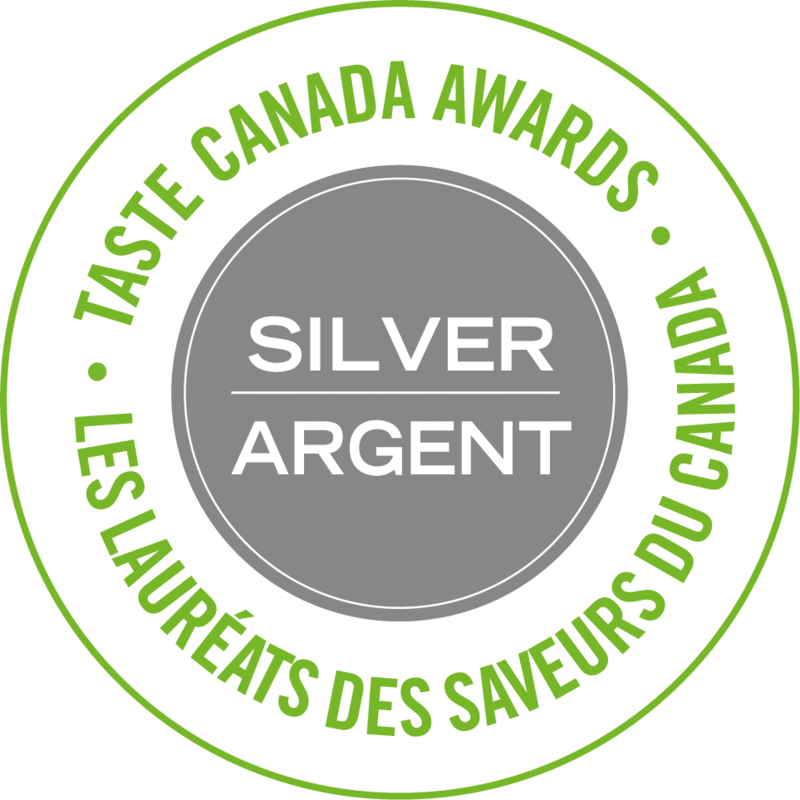 Teas are one of our favourite times, too! He IS quite tasty, isn’t he? 🙂 Thanks, Pippa!! Here’s to more tea, near and far. I just found this post while looking for a classic scone recipe (Lily and I had High Tea in Old Port today and now I need to replicate everything!). I teared up reading about Miranda’s pre-mature birth and sweet Alfie! Also, of course you have Pippa’s cookbook! Royals forever! Oh where did you have High Tea? Miranda and I want to go soon. 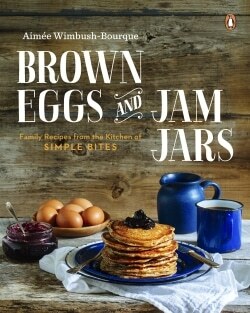 I’m definitely going to try a few of those recipes! We have had baby showers after the baby was born for various reasons. I don’t know why people would think that odd. Celebrating new life is always appropriate. My first son was a preemie and didn’t live. I now have a grandson named after him. Yes to more tea and crumpet celebrations, Sarah! I think it was a marvelous idea. It can be a celebration of his life. I had a friend who adopted a 3yo son. We threw her a shower after he arrived. She didn’t have any other children before him. She needed everything. It was fun. Your party sounded like fun too! Looks gorgeous! My first came four weeks early and his shower was after he was born and I thought it worked out perfectly… ? I just hosted a few friends and their kidlets for a MayDay tea party using yours as an inspiration. It was so fun and everyone mentioned how we need to do this more so thank you for putting yours out there. 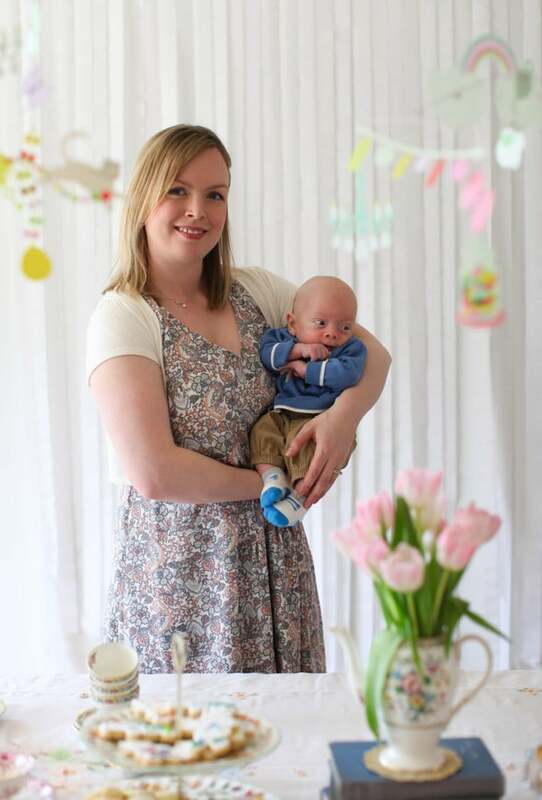 I adore the idea of a tea party for a baby shower, what a wonderful day to celebrate little Alfie! I had my baby shower, planned, after my daughter was born. My aunts idea. All my 8 aunts wanted to hold, smell and see the new baby! It was the best idea ever. 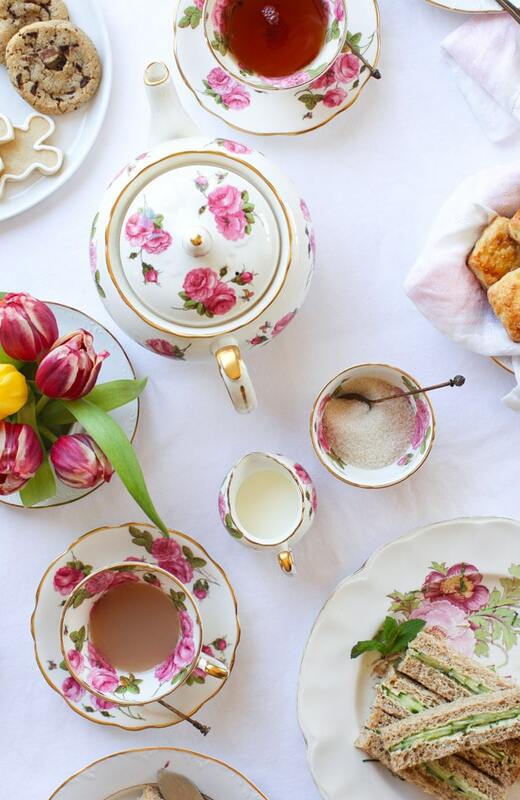 I need to find a good occasion for a tea party, because this looks fabulous! And anyone who feels that a party is not to their liking for any reason is welcome to not attend and/or plan their own gathering. It’s supposed to be fun, no one is forcing anyone.